this template is best showcased on a digital screen placed at the entrance of the restaurant or indoors. 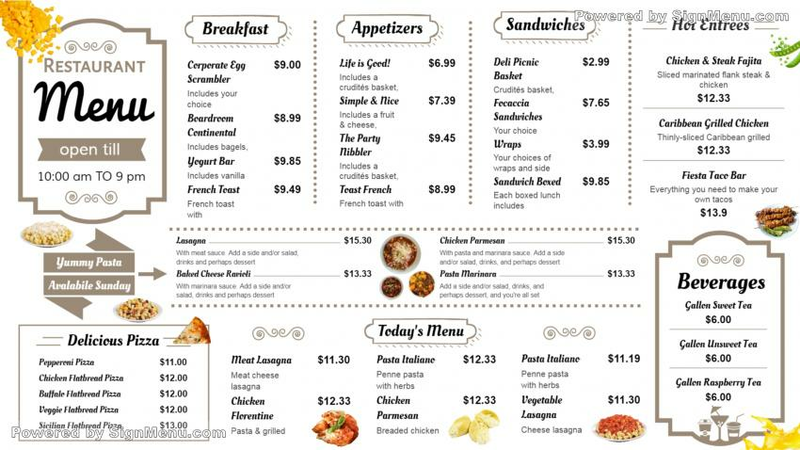 Most restaurants worldwide have adapted to digital menu boards in order to entice customers by their visual appeal and impact. Further, the'Cloud' program initiated by software development has enabled additional facilities for the restaurants. This template is ready for download and use.